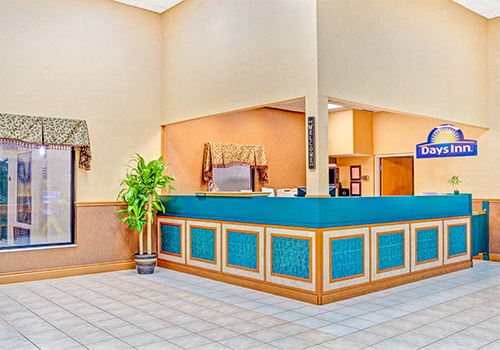 Value, comfort, and location combine when you book your stay at the Days Inn Smoky Mountain. 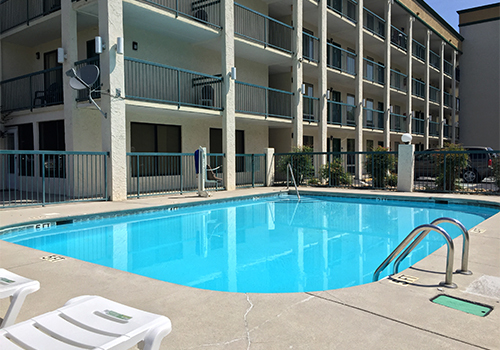 Situated right off of I-40, this Dollywood area hotel offers free continental breakfast, an outdoor pool, and scenic mountain views. 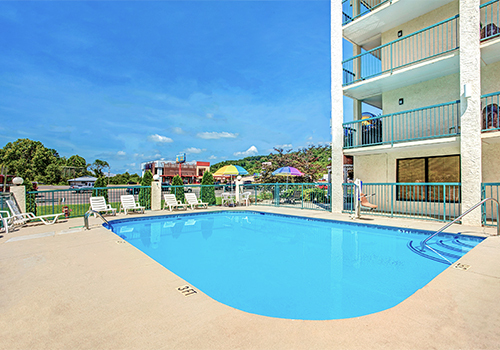 Rooms include flat screen TVs, coffee/tea makers, free WiFi, balconies, mini-refrigerators, and other modern conveniences. Pet-friendly rooms available. 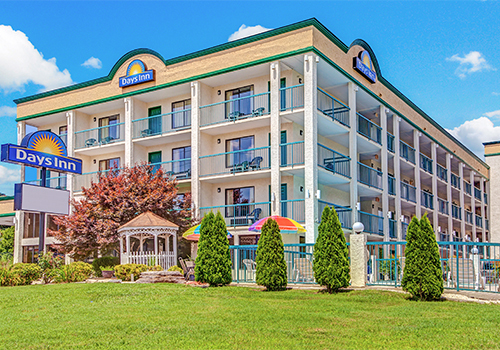 The Smoky Mountain Days Inn is located at Exit 407 off I-40, within minutes of the Sevierville Events Center, Pigeon Forge, Gatlinburg, Great Smoky Mountain National Park, Bass Pro Shop, Smokies Baseball Stadium, Music Theaters, & Outlet Shopping Malls. 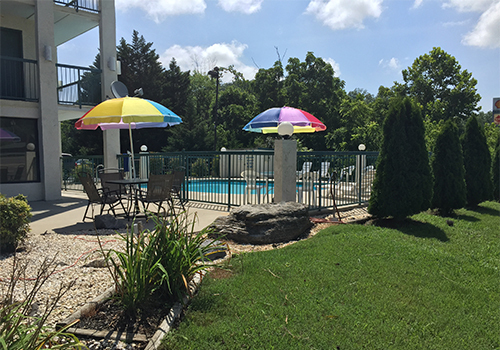 We are centrally accessible to Carson-Newman College, Johnson Bible College, Morristown, Bristol Motor Speedway, the Knoxville Convention Center, the University of Tennessee and the Knoxville Zoo. Recipient of the Days Inn Chairman's Award for Quality. 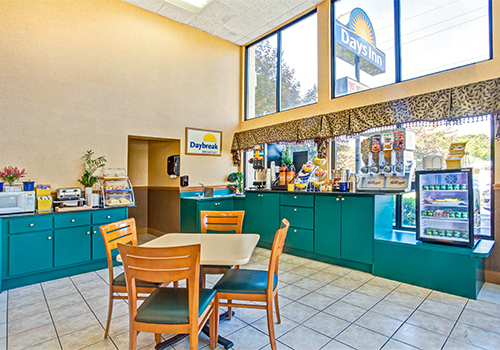 Room includes complimentary Daybreak Breakfast. Our breakfast includes hot and cold cereals, assorted donuts, waffles, cheese omelet, biscuits and gravy, yogurt, fruit, juice, hot tea, and coffee. If desired, please request a pet-friendly unit as not all of our Double Queen rooms allow pets (King Suites are not pet-friendly). Non-refundable pet fees of $10 per night per pet charged at check-in. Dogs only. Max weight 50lbs. Pet sanitation fee is $250 if applicable. ADA defined service animals are also welcome at this property. No, this is a 100% smoke-free hotel property. Outdoor designated smoking areas are available. Yes. Pets with a maximum weight of 50 lbs are allowed for a non-refundable charge of $10 per pet, per night. A $250 pet sanitation fee is applied only if applicable. ADA defined service animals are also welcome at this hotel. Yes. 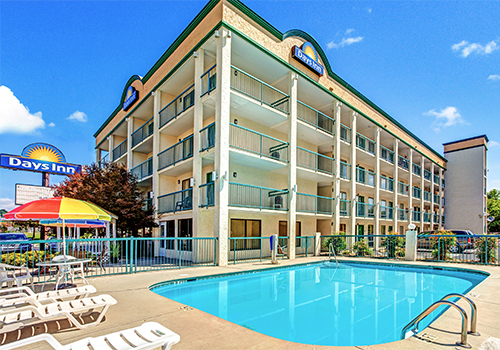 Guests can use the ample free parking available onsite.